very good at colour-correcting photos yet, apologies! 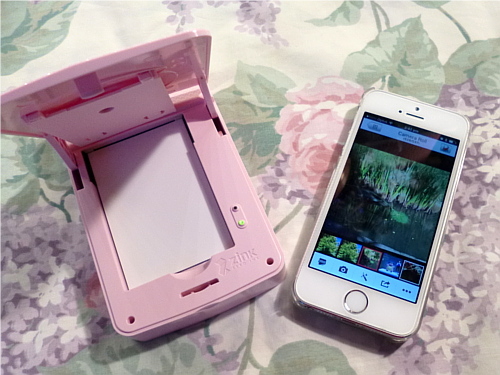 For my birthday I asked for and received a PoPo Pocket Printer. 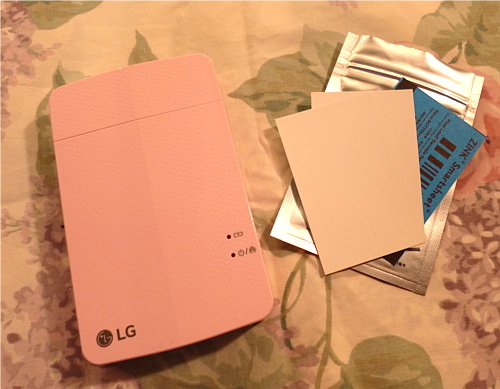 I decided I wanted one after I saw a review on Violet Le Beaux's Youtube channel. The PoPo connects to your smart phone via Bluetooth, and you can use the app to select and edit photos, then print them out. I'd been wanting something like this for years, but never quite found what I was looking for. I did have a printer which printed straight from my camera onto good old-fashioned photo paper, but it was very fiddly and there was no way to edit the photos. 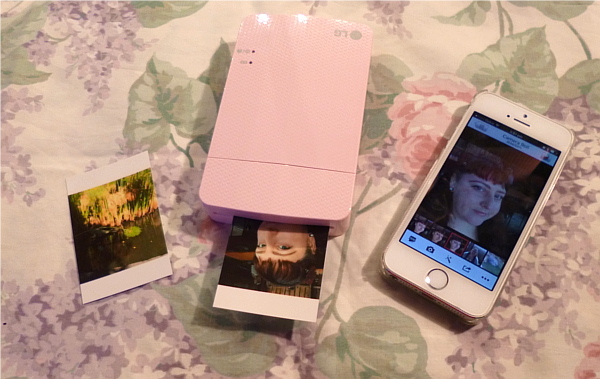 For a while I coveted an Instax or other Polaroid-style camera, but I balked at the price of the paper. I even resorted to printing photos out on my computer's printer onto plain paper. The PoPo seemed to have none of these issues, plus the paper was much more affordable. 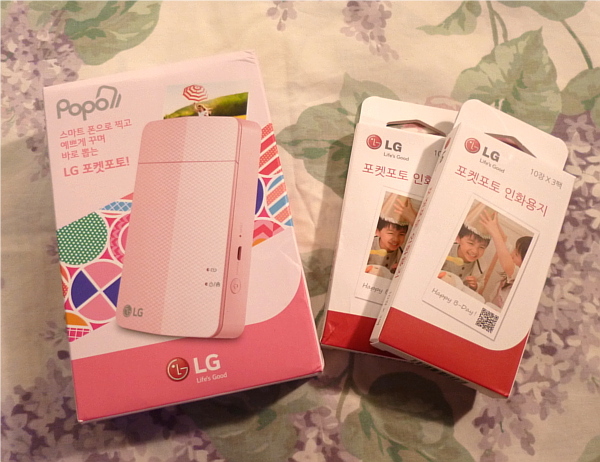 Husband ordered the PoPo from an ebay seller in Korea, and it came with the instructions in Korean. However, it was quite clear that we should scan the QR code on the side of the box. This downloaded the app and the instruction manual in various languages. (Handy note: the instruction manual can only be accessed when the printer is switched on.) The app connects directly to my photo album, allowing me to choose any photo I've taken on my phone to print. (Including any that I've posted to a certain social media site!) It includes some simple editing features (zoom, brightness and contrast adjustment, etc) but of course you could use a preferred editing app to make changes to photos beforehand. The resulting photos aren't amazingly high quality, but they're a lot of fun. The printer can edge-print rectangular format photos or square format with a white border at top and bottom. Best of all, the paper is glossy, real photo paper. 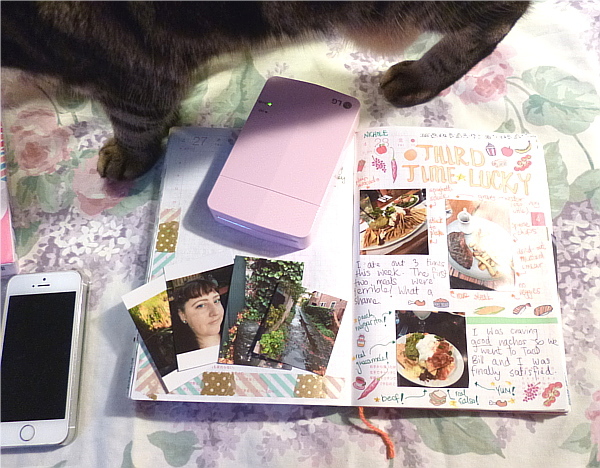 My main use for the photos so far is for my Hobonichi art diary. It's been so fun to be able to document an event or something interesting I saw with photos. One of the biggest advantages of the PoPo over an Instax is that you can select the photos you want to print and edit them before printing, so you know exactly what you're going to get. You can also print more than one copy to share. It's much quicker and easier than firing up your computer's printer and much more portable: it's only slightly bigger than my phone. I'm looking forward to taking it with me next time I go away on holidays. If not Etsy, then what?